The company said it may sell 14 stations in U.S. cities including Seattle, Boston, Orlando, and Charlotte, North Carolina. Together, they reach more than 31 million viewers. Cox Media Group said it may sell Seattle’s KIRO and other television stations across the United States, taking advantage of the loosening of federal media-ownership rules. The decision raised concerns about decreasing competition in the industry. 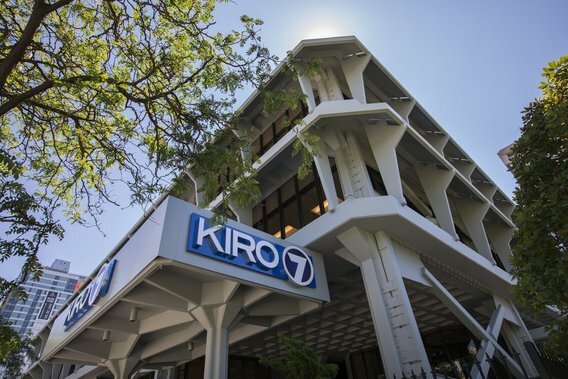 KIRO (Channel 7) is one of 14 television stations that Cox Media is considering selling, the company said in a statement Tuesday. The media conglomerate, a subset of Cox Enterprises, is exploring ownership options, including partnerships or mergers into a larger company. It owns a large portfolio of television and radio stations, as well as The Atlanta Journal-Constitution and other newspapers. The announcement came amid a surge in discussions about mergers and acquisitions in the media industry, which have, in part, been prompted by Federal Communications Commission (FCC) Chairman Ajit Pai’s efforts to deregulate media ownership. Facing increased competition from companies like Amazon and Netflix, Cox Media said consolidation is crucial for the survival of their stations.